OTTAWA, March 26, 2019 – Five architects, including the designer of the iconic Georges Pompidou Centre in Paris, and one of the most influential American architects of the 20th century, have been named as Honorary Fellows of the Royal Architectural Institute of Canada (RAIC). 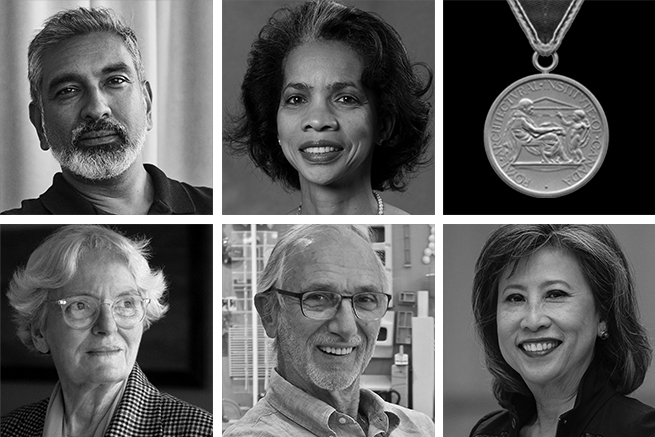 The 2019 Honorary Fellows exemplify the role that architects play in public life around the world and the evolving diversity of the profession. "I am delighted and incredibly honored to receive the RAIC Honorary Fellowship. I look forward to strengthening professional and cultural ties between our countries. Together with our Canadian colleagues, we can better amplify the voice of architecture in addressing global issues such as sustainability, resilience, affordable housing, health, dignity, and wellbeing." "It is an extraordinary privilege to be recognized as an Honorary Fellow by the RAIC, which I thank on behalf of our entire studio at PAU and all architects fighting for more equitable, sustainable and magnetic cities in the face of climate change and social discord. As the cities of Canada face welcome new waves of immigration and the concomitant challenges of urbanization, housing and infrastructure, it is a special honor to be counted among those fighting for a better and more beautiful urban world." The Royal Architectural Institute of Canada is the leading voice for excellence in the built environment in Canada. Representing about 5,000 members, the RAIC advocates for excellence, works to demonstrate how design enhances the quality of life, and promotes responsible architecture in addressing important issues of society.